Home / Syria / What Does the Future Hold for Water in Syria? Syria, like most countries in the MENA region, cannot meet its current water demand, and the situation is likely to get worse. With a changing economic structure and a high population growth rate, this demand will only increase. Shifting rainfall patterns due to climate change and the relatively high dependence on internationally shared water resources are further challenging water resources management in Syria. Water resources are being depleted in five water basins: Barada and Awaj, Orontes, Steppe, Dajleh and Khabour, and Yarmouk. The statistics show a current average water shortage of 1,727MCM annually. This shortage will reach 6.2BCM in 2050 because of the increasing consumption and poor management of non-renewable resources coupled with population and economic growth. Exacerbating this further will be lower and unevenly distributed rainfall, resulting in declining groundwater levels, the dry-up of some springs, lower discharge of some rivers as well as pollution exposure by some water resources from a variety of sources. To cope with current and future water challenges, Syria needs to build a comprehensive national water strategy. In 2009, water-related stakeholders initiated a baseline water study as a first step toward developing this strategy. This study was disrupted by the outbreak of war in 2011. 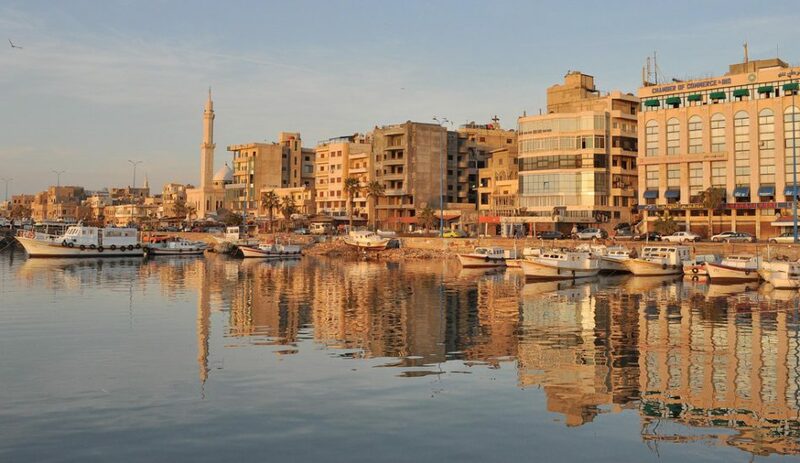 In the framework of the United Nations-led National Agenda for the Future of Syria, hundreds of Syrian and international water experts have been gathering since 2013 to draw up guidelines for future national water policies in Syria. Some of the key highlighted themes were: implementing integrated water resources management (IWRM) principles as the norm; connecting the national land use plans to available natural resources; applying IWRM for international cooperation with riparian countries; strengthening the institutional and policy framework for water; enforcing water-related laws; and adopting a participatory approach to water resources management. More than 70% of Syria’s water comes from outside its borders. Despite this, the country lacks binding water-sharing agreements with any of its neighbours. The threat to Syria’s water resources and hence to its people and economy is real and considerable. International best practices, such as the Dublin Principles, reinforce the case for a cooperative and joint approach to the development and management of the shared waters. International law, to extend what is reflected in the UN Convention on International Water Sources, also supports cooperation between riparians, particularly the guiding principles that riparians should not cause significant harm; and riparians must use an international watercourse in a manner that is equitable and reasonable vis-à-vis other states sharing the watercourse with a view to attaining optimal and sustainable utilization. Both principles can positively support a cooperative approach. As Iraq has shown, water security will play a critical role in Syria’s long-term, post-conflict reconstruction and development strategies. Transboundary cooperation on water resources development and flows could make an important contribution to both countries’ recovery. Conversely, if this is not done successfully, water scarcity will feed grievances, impoverish the population and contribute to recurring instability. Mahmoud, DH and Sayegh, C. 2017. Syrian Water Situation – Analytical Study and Future Prospects. Homs: Baath University. Mourad, K and Berndtsson, R. 2012. ‘Water Status in the Syrian Water Basins’. Open Journal of Modern Hydrology Vol. 2, No. 1, pp.15-20. Framework of the National Agenda for the Future of Syria II programme developed and implemented by the United Nations Economic and Social Commission for Western Asia.